MOSCOW (92 News) – Russia has decided to support Pakistan’s permanent membership to the Shanghai Cooperation Organization (SCO) during a meeting in Russian city Ufa on July 8. The Russian Duma speaker has assured Chief of Army Staff General Raheel Sharif of their full support in this regard. Earlier, COAS General Raheel Sharif called on the Russian Federation’s State Duma chairman who appreciated Pakistan’s efforts for stability in region and ongoing operation against terrorists. In a statement, the DG ISPR said that the State Duma chief had said that they would stand by Pakistan in its fight against terrorism and extremism for stability in the region. He said that Pakistan and Russia were taking keen interest in enhancing cooperation in defence. 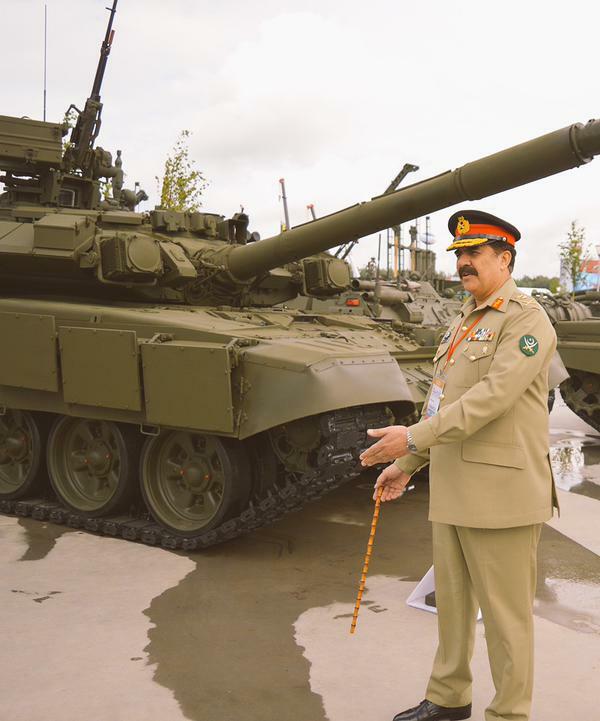 COAS General Raheel Sharif also visited a defence exhibition and took keen interest in helicopters and tanks.